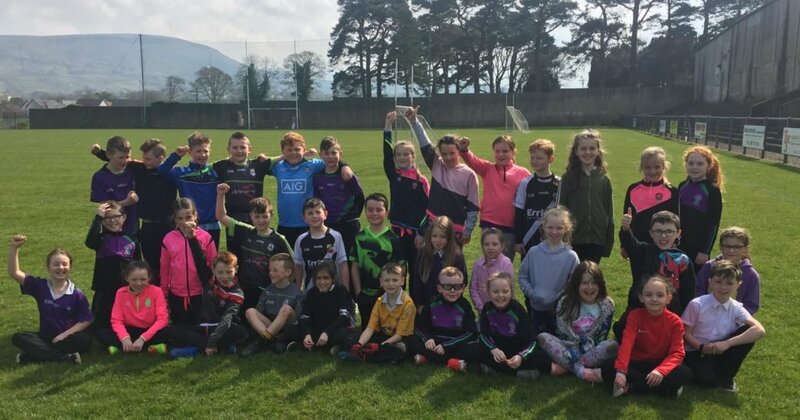 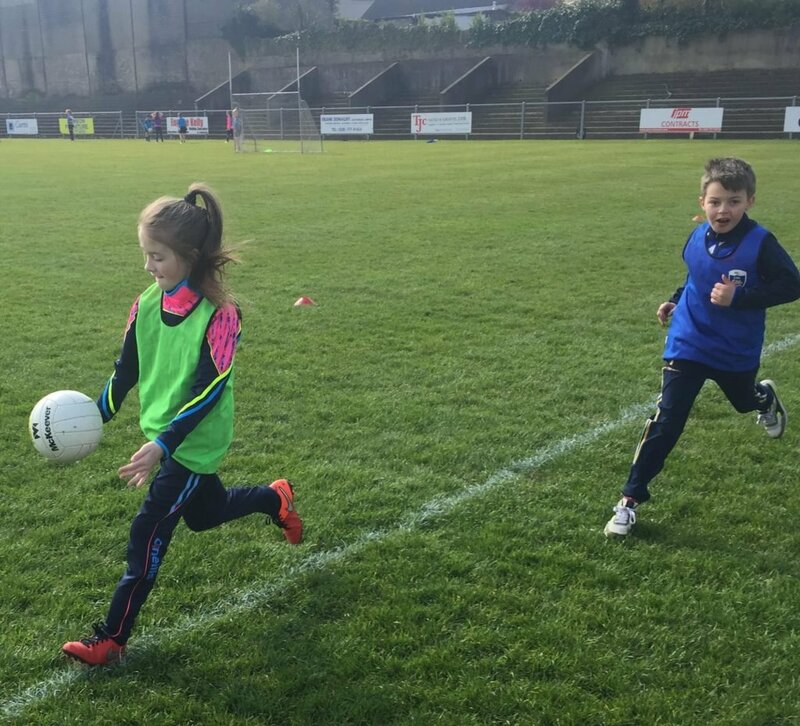 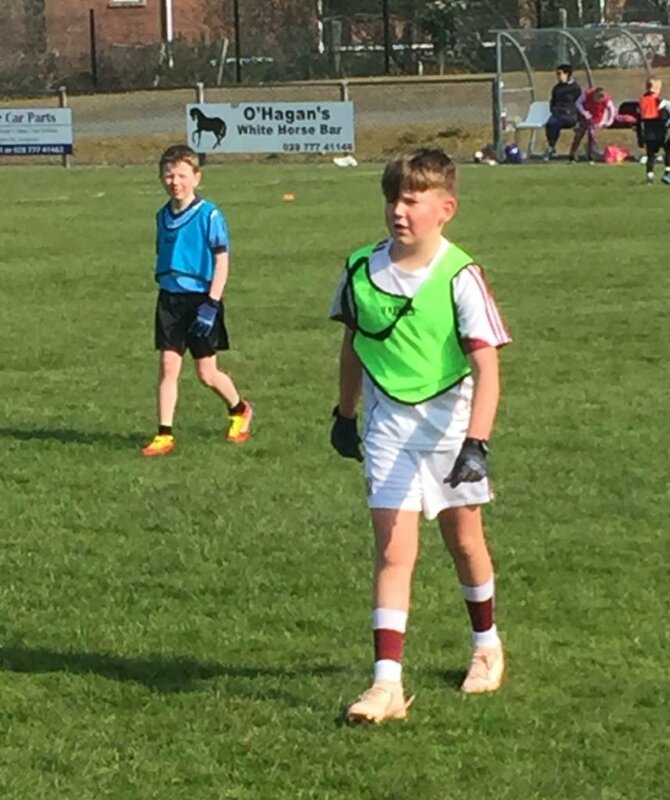 On Friday the 12th April O’Cahan Park played host to our local Primary 5 and 6’s for a blitz day organised by our GPO Emmett Stewart. 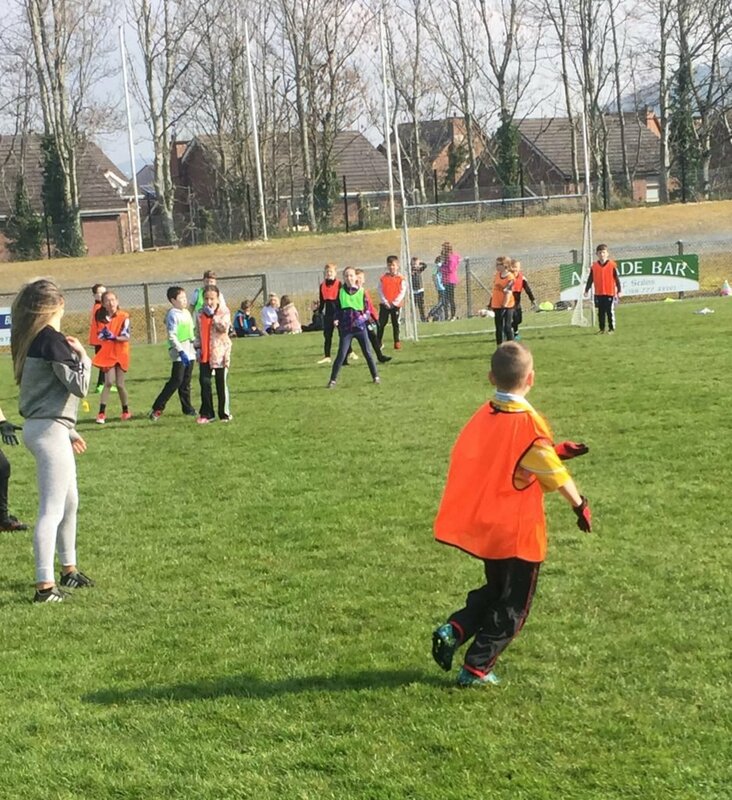 In the glorious sunshine just over 150 boys and girls came to take part in a mixed blitz day. 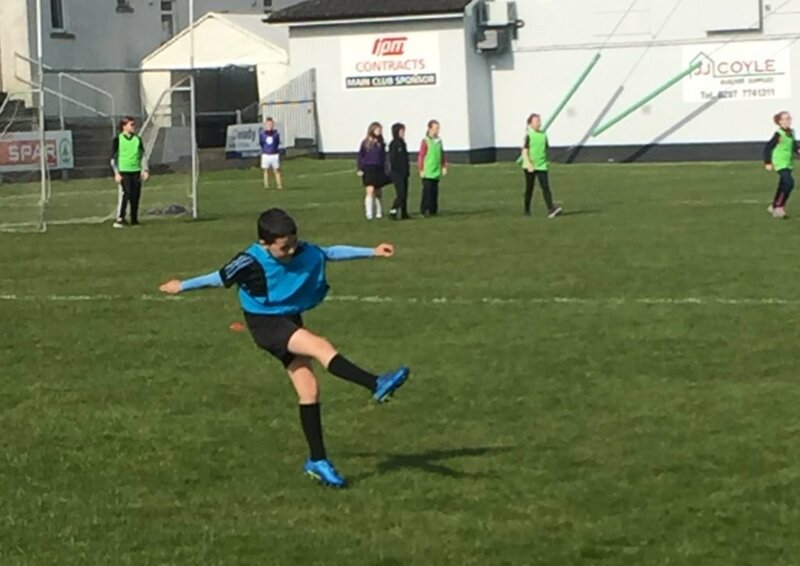 Boys and girls played matches together and the teams were comprised from a mixture of pupils from all the schools, so that new friendships were forged and a lot of fun was enjoyed. 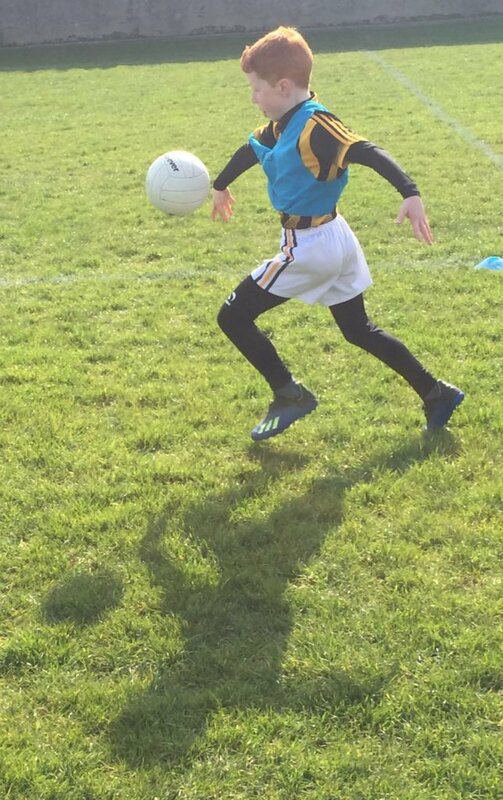 In total we had 12 teams competing and teams were named after counties to create an All Ireland feel. 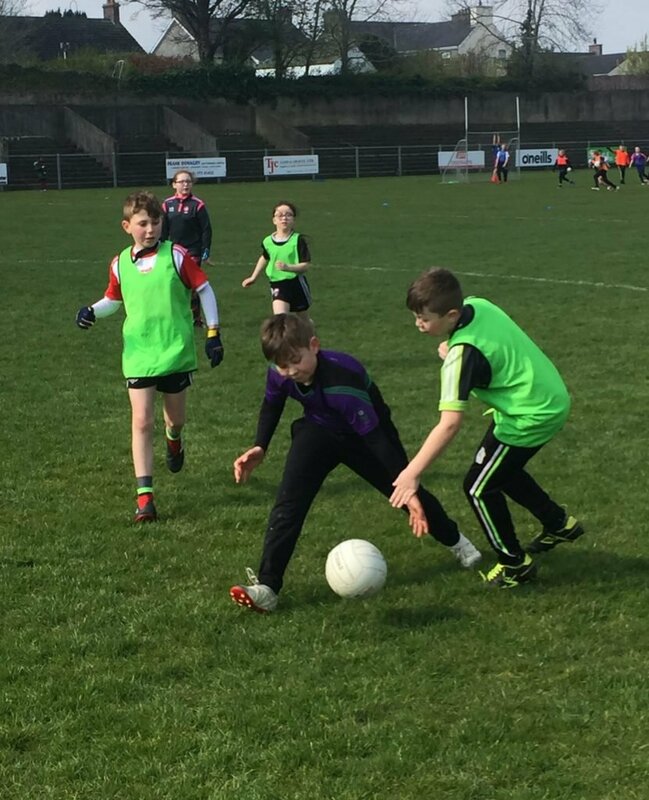 The blitz was a great success on all fronts, the weather creating a great Friday feeling, the pitch was in immaculate condition and of course the great skills and teamplay displayed by all of our players. 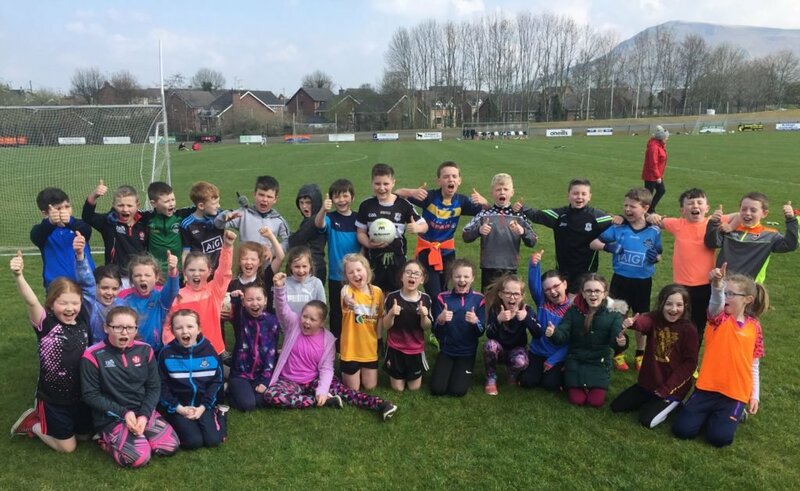 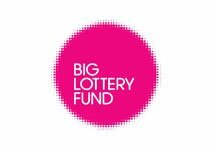 Many thanks to the schools and teachers of Gaelscoil Neachtain, St Canice’s Primary and St Johns Dernaflaw for taking time out to attend and helping assist on the day. 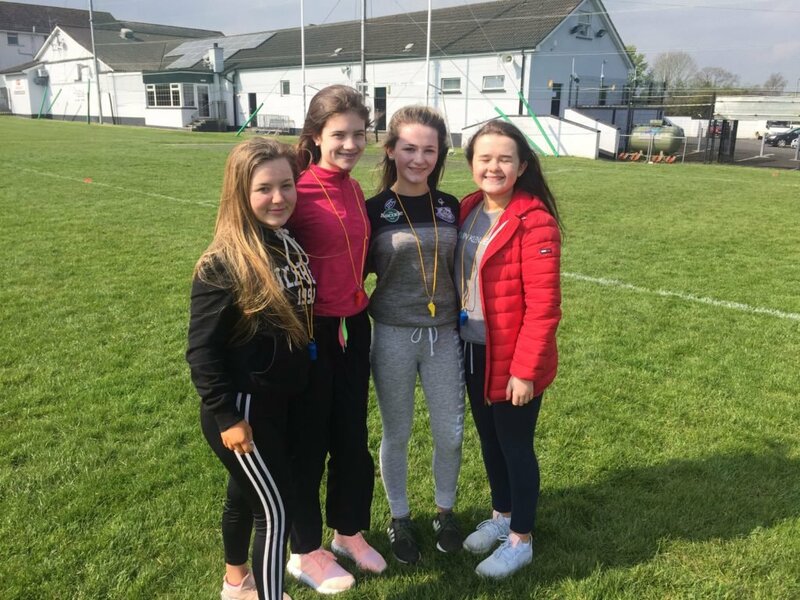 Our four excellent referees from St Patricks College Dungiven who marshalled the games brilliantly, and of course all the boys and girls who participated. 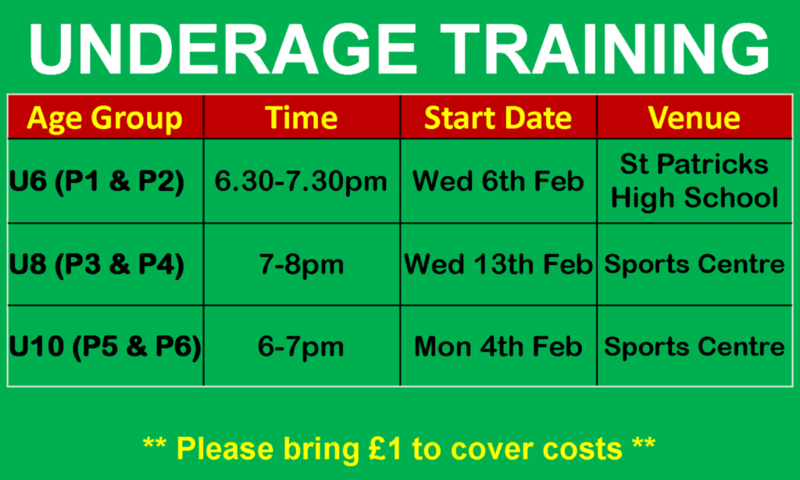 Training for boys continues at the various venues and times seen in the timetable.